As detailed by The Hollywood Reporter, Quentin Tarantino's Once Upon a Time in Hollywood has cast Dakota Fanning, Damian Lewis, and Luke Perry. The trio join Leonardo DiCaprio, Brad Pitt, and Margot Robbie in the film that takes place in 1960s Hollywood, around the time of the Manson Family Murders. While DiCaprio plays the fictional out-of-work actor Rick Dalton, who tries and fails to transition from leading his own Western television show to shining bright on the big screen, Pitt portrays Rick's "longtime stunt double" Cliff Booth. The unlucky pair are "struggling to make it in a Hollywood they don't recognize anymore," but soon find themselves faced with what could be a huge opportunity when Rick discovers his neighbor is famous actress Sharon Tate, played by Margot Robbie. Fanning is set to portray Squeaky Fromme (born Lynette Alice Fromme), a member of serial killer Charles Manson's Manson Family cult who attempted to kill U.S. President Gerald Ford in 1975. Lewis is attached to the role of Steve McQueen, the real-life actor known for his anti-hero onscreen persona and for his roles in films like The Sand Pebbles, The Cincinnati Kid, The Thomas Crown Affair, The Magnificent Seven, The Great Escape, The Towering Inferno, Bullitt, The Getaway, and Papillon. As for Perry, he'll play a character called Scotty Lancer. Once Upon a Time in Hollywood also tapped a handful of additional actors for the ensemble cast. Emile Hirsch will play Jay Sebring (born Thomas John Kummer), the renowned Los Angeles-based hair stylist who was killed in the Manson Family murder spree, and who inspired Warren Beatty's character George Roundy in the 1975 film Shampoo. Nicholas Hammond is on board to portray film director Sam Wanamaker, Clifton Collins Jr. will play Ernesto The Mexican Vaquero, and Keith Jefferson is set to tackle the role of Land Pirate Keith. Previously announced stars include Burt Reynolds as George Spahn, the owner of the Spahn Ranch where Manson and his devotees resided in the late '60s, as well as Timothy Olyphant, Kurt Russell, Tim Roth, and Michael Madsen in undisclosed roles. Once Upon a Time in Hollywood seemed like a highly ambitious film even before the three main stars DiCaprio, Pitt, and Robbie were confirmed. Now that Tarantino has really rounded out his cast roster, filling it with big names to take on even bigger characters, the movie seems larger than life. However, there still remain two important characters that Tarantino has yet to cast: Roman Polanski and Charles Manson himself. Will the director go with a recognizable face — like many of the confirmed actors — for Polanski and Manson, or will he surprise us all and pick a relative unknown to brush shoulders with the A-listers? 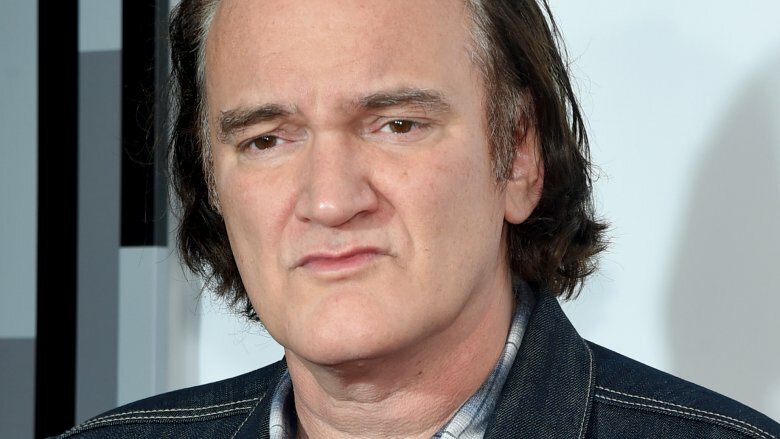 It's anyone's guess, but when it comes to a guy like Quentin Tarantino, anything goes. Once Upon a Time in Hollywood is set to open on August 9, 2019 — exactly 40 years after Sharon Tate's murder.